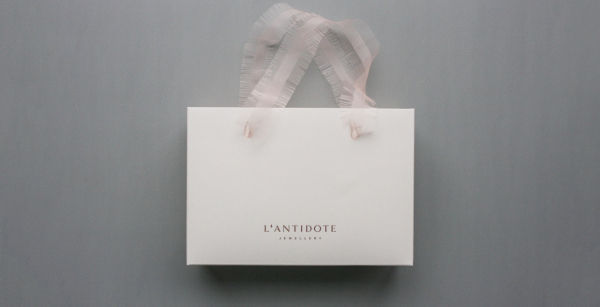 Mikina Dimunova created a sleek and elegant branding for “L’ANTIDOTE JEWELLERY” based in Prague. The project involved finding the right name for the brands, visual Identity and Art direction. Mikina even designed the packaging, catalogue and stationary. We especially appreciate the paper-bag that comes with feather-like details combined with a 3dimensional emblem associating high quality and luxury. The post L’Antidote jewelry branding appeared first on Mindsparkle Mag.